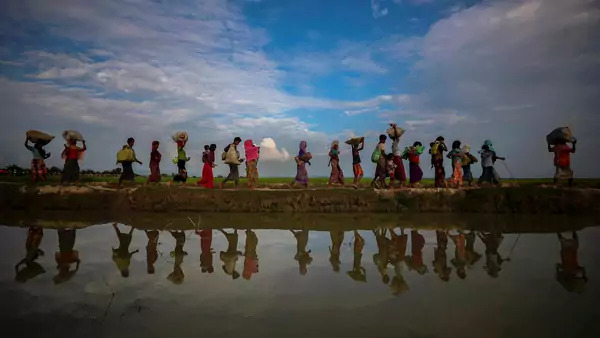 The UN Human Rights Council voted to set up a body to gather evidence of atrocities and rights abuses in Myanmar going back to 2011. Burundi, China, and the Philippines opposed the move. The Taliban sent a delegation to meet with Afghan government envoys in Saudi Arabia this week to discuss security for upcoming parliamentary elections and a prisoner release, according to several Taliban sources. The Taliban later denied the meeting, and the Afghan government did not comment. Separately, nine civilians from the same family were killed in an airstrike in Kapisa province on September 22, according to reports received by the UN mission in Afghanistan. It was not immediately clear if the strike was carried out by international or Afghan government forces. Attackers using guns and machetes killed twenty-one people in the city of Beni in the Democratic Republic of Congo (DRC) on September 22. The attack forced aid groups to halt Ebola prevention activities. The entirety of the Acapulco city police force in Guerrero state has been disarmed by federal and state authorities while officials investigate whether the police force has been infiltrated by organized crime. Arrest warrants have also been issued for two city police commanders accused of murder.